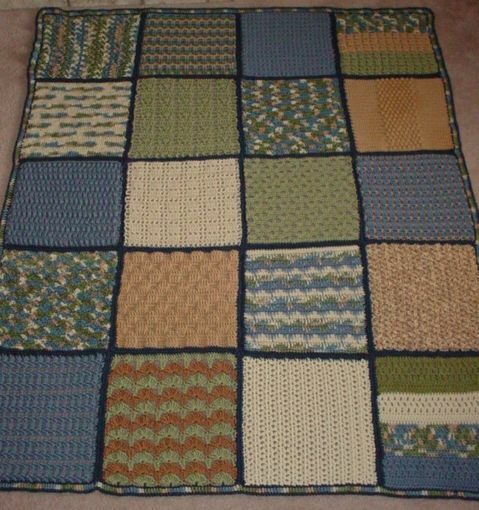 Hi everyone, I finished the Charity afghan late last night and took a picture. It turned out better than I thought it would. I was worried since the squares weren’t all the same size. Seven guild members stayed after the regular morning meeting of KS My Stitch on Monday, July 16, to prepare the donated crochet squares for assembly of the charity quilts. A big THANK YOU to each of you for your help! It appears we will eventually have 6-7 afghans when we are finished. Our next scheduled workshop will be after the August meeting, but we might try to squeeze in another workshop before then; will keep you posted. It would be so nice to have them finished when the weather turns cold. Please remember to let me know if you have completed squares that aren’t turned in yet, so we can plan on them for the August workshop. CHARITY AFGHANS WORKSHOP ! ! Good morning, Crochet Guild members! WHY: Because we need your help! Yarns will be provided for us, we just need your willing hands and hooks to prepare and assemble the squares which have been donated. If you are still working on squares, it would be wonderful if you could bring the finished ones to the July meeting, or the August meeting at the latest. That way we will have time to coordinate them with other donated squares to make as many afghans for the needy as possible. It would be very helpful if you can call me to let me know how many more squares to count on. It appears that so far we have the ingredients for about 5 afghans. We might have more workshops later, after we determine how much we can accomplish in two workshops. The more the merrier, so please come and help — even if you can’t stay for long. 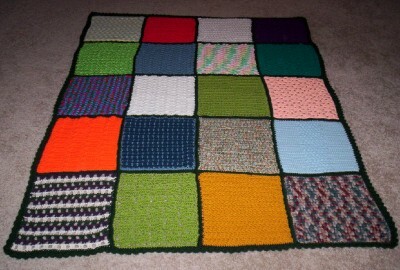 The completed afghans will be donated to a charity to be determined by the Outreach Committee. If you have any questions, please call me; my phone number is on the membership list.